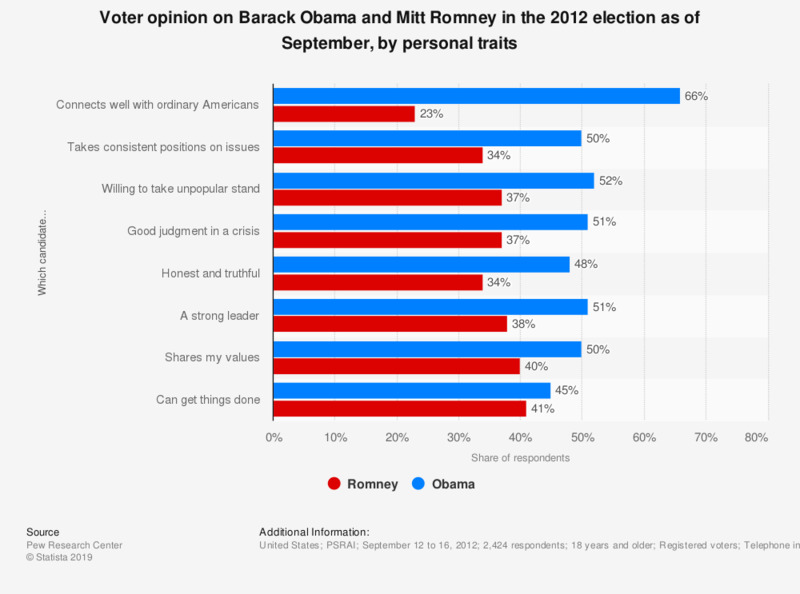 This survey shows the public opinion on personal traits of the candidates in the upcoming 2012 election in the United States. During the survey, it was found that 66 percent of registered voters thought that Obama would connect well with ordinary Americans. How would you describe the state of the nation's economy? What do you consider the most important societal issue?